What has an unlikely sporting triumph got to do with property values in Brixton and Battersea? More than you could imagine. It has been calculated that newly-crowned Premier League champions Leicester City are set to earn up to £170m from the football club’s success. And homeowners in the East Midlands city are also set to benefit from a spike in property prices following confirmation that Leicester will finish the football season as the top division’s number one team. At the start of the football season, Leicester were 5000/1 outsiders to win the Premier League. But the club’s against-all-odds success was confirmed on Monday after London rivals Chelsea and Tottenham Hotspur drew 2-2. Winning the Premier League title has handed Leicester around £90m in prize money plus entry into the UEFA Champions’ League. This will add around £40m to the club’s bank balance – even if it exits the European competition without winning a game. But it is not just additional TV and sponsorship revenue that is benefitting the city of Leicester. Over the past five years, there has been a significant correlation between Leicester City’s success on the football pitch and the average cost of a home near the club’s King Power stadium. In 2012 – the year Leicester City finished ninth in English football’s second tier – the average cost of a residential property in Leicester city centre was £108,758, according to the Land Registry. The following year, when Leicester City finished sixth in the Championship, the price of property in the centre of the city climbed 0.9% to £109,789. However, in 2014, the year Leicester City won the Championship, the average price of a home in the centre of the city hit £114,657. That figure climbed a further 0.4% in 2015, the year Leicester City finished 14th in the Premier League, and is now £123,694 – 7.5% higher than this time last year. And it’s not just homeowners in the East Midlands who benefit from sporting success. When Blackburn Rovers were crowned Premiership champions in 1995, the average price of flats in the east Lancashire town jumped 362%, from £7,950 to £36,750. So for Battersea’s growth here’s hoping the fortunes of Fulham FC improve drastically next season and even (for the sake of property prices only!) that Chelsea can regain the Premier League title from Leicester City at the end of 2016/17. For Brixton prices we must get behind Crystal Palace for the FA Cup Final on 21 May. Come on you Eagles! 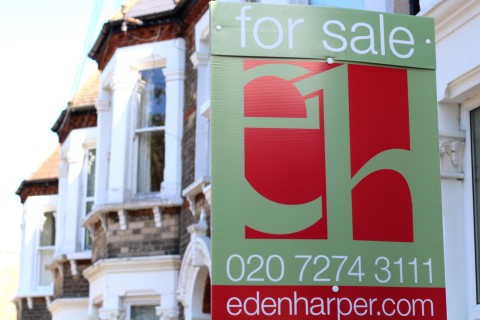 To find out how much your property is worth, either now or as next season unfolds, please contact Eden Harper’s valuations team.